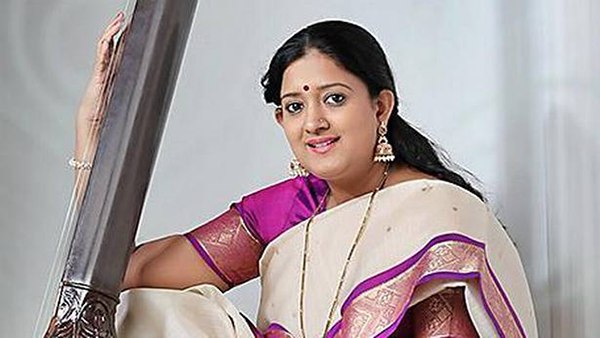 Manjiri Asnare-Kelkar was born in a traditional music family. Her father, Pt. Anand Asanare was a well-known Tabla Player. Manjiri had her initial training under Pt.C.T.Mhaiskar in Sangli. She later inherited the rich tradition of Jaipur Atrauli gharana from Pt. Madhusudhan Kanetkar, the Doyen of the Gharana. The effect of Pt. Kanetkar’s long association with Ustaad Bhurji khansaheb is aptly reflected in Manjiri’s Gayaki. She also had the privilege of taking Taleem from the renowned maestro Gaan Saraswati Smt. Kishoritai Aamonkar. Manjiri’s polished and seasoned voice with open Akaar, her easy glides, intertwining of Laya and swara, so fine as to make the two inseparable- a noteworthy feature of the Jaipur Gharana make her performance spell binding. Her performances bear eloquent testimony to her training by her illustrious Guru. Manjiri has received wide acclaim for her performances at Sawai Gandharva Mahotsav Pune, Kesarbai Kerkar Sammelan Goa, ITC sammelan Kolkata, Dowerlane Conference Kolkata to name a few. She is the recipient of the prestigious Surashree Kesarbai Kerkar Scholarship instituted by N.C.P.A Mumbai for the year 1994. She has been awarded the prestigious Ustad Bismilla khan Yuva Puraskaar by Sangeet Natak Academy, the Gaan Hira award by the S.N.D.T University, the Pt.Kumar Gandharva Award by the Madhya Pradesh Government and recently has been awarded the Gaan Saraswati Puraskaar. She has recorded many albums which have been very well appreciated by the listeners all over. Manjiri Asnare-Kelkar was accompanied by Suyog Kundalkar on the harmonium and Sanjay Deshpande, a disciple of the Late Ustad Allarakha on the tabla, and current disciple of Shri Yogesh Samsi and Pt. Vivek Joshi.